And our future with forever. You'll be my closest friend. A love the will never end. .925 Sterling Silver Pendant measures 32mm (1 1/4") long including bale and 25mm (1") wide and comes with and 18 inch Sterling Silver Chain. 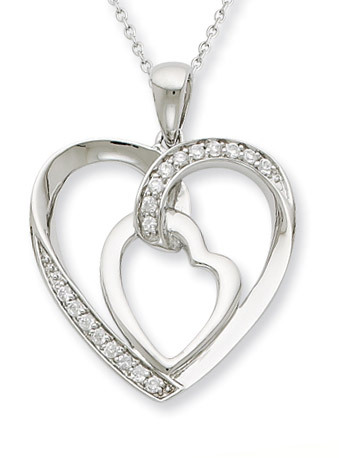 We guarantee our My Heart To Yours Sterling Silver Pendant to be high quality, authentic jewelry, as described above.